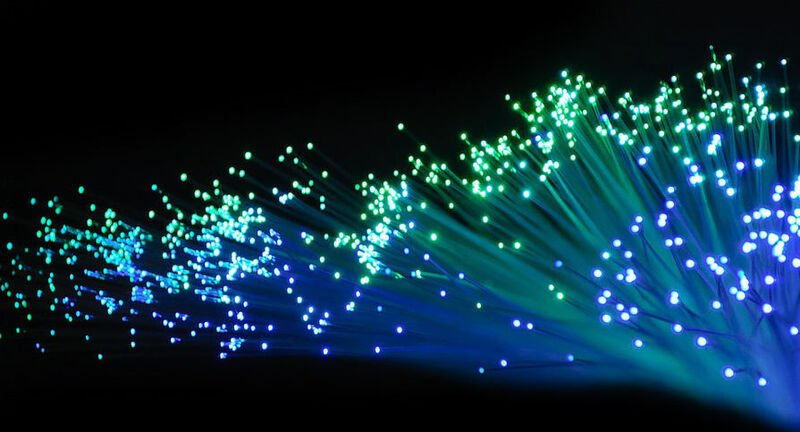 It has been 9-months since we upgraded our office Internet and network to support gigabit speeds. 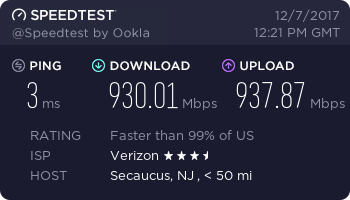 I honestly thought I'd keep the gigabit speeds for a month or two and then downgrade it but the speed benefit, at least for the office, is really nice to have especially when moving lots of files over the internet. 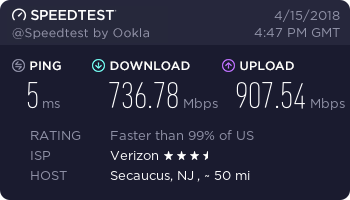 Last week, Verizon FiOS began offering gigabit at my home, so I signed up for it and they installed it last week. 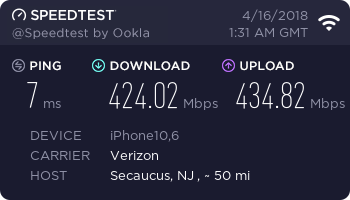 The speed is pretty insane to have at home as well, but since I am almost never plugged in via direct ethernet at home, the Wifi speeds are very important. At my office, my computer is plugged into the ethernet over a gigabit (actually 10 gigabit) port. At home, almost nothing is plugged in. In our office, we have one of those fancy Ubiquiti Networks UAP-AC-HD Unifi Access Points, which for one is about $250. I tested that against my home wifi routers, which is the Google Wifi three pack, which you can buy for about the same as one of these Ubiquiti devices. My Google Wifi is plugged in to the new FiOS router, but honestly, I feel zero network degradation from doing so. I am able to get just about gigabit speeds plugged into my home or office networks, as expected. The speed tests can vary depending on which speed test host you are using and the time you are running it. 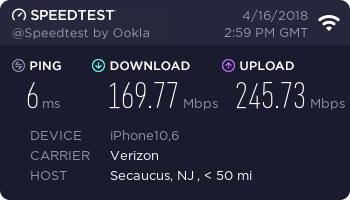 The big test was how fast can my iPhone 10 go when standing next to one of the Google Wifi routers compared to standing next to the Ubiquiti wifi router. I was a bit surprised to see the Google Wifi router was much faster. I was able to hit over 850/900 at home as well. In short, I find at least in my case, the Google Wifi mesh routers to be super fast over wifi. I don't know if there are any Wifi routers that can do true gigabit speeds over wifi, at least this is based what I am reading currently. I suspect that will change over time. The best part, when I am over the VPN working from home, it feels (at least speed wise) that I am literally working in the office. There is zero lag at all. How does your office versus home set up look?